Thank you to everyone who came to the meeting to ask questions, there was a full house with every seat taken and many people having to stand at the back and along the sides. The meeeting was filmed by Richard Taylor, and can be viewed at https://www.youtube.com/watch?v=Ljkj6mQgEho. If you haven't signed one of our paper petitions yet, you can sign our online petition instead! We have created an online petition on change.org which can be quickly and easily signed online. 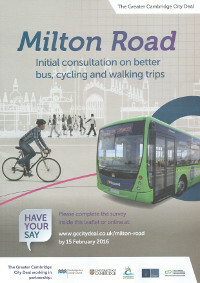 Please send http://www.miltonroadra.org/mrra-petition to anyone you know who would like to sign this. 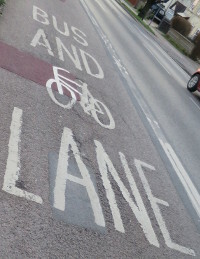 If the congestion situation in Cambridge can be improved, there will be no need to expand the bus lanes. We do not want to transform our beautiful tree-lined streets into ugly concrete highways, or divert more traffic through the small residential side roads. 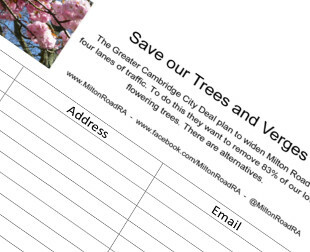 We feel the questions on the Milton Road questionnaire are misleading and weighted towards turning Milton Road in a treeless wide highway with banned turnings. The deadline for the questionnaire was on 15th February 2016.